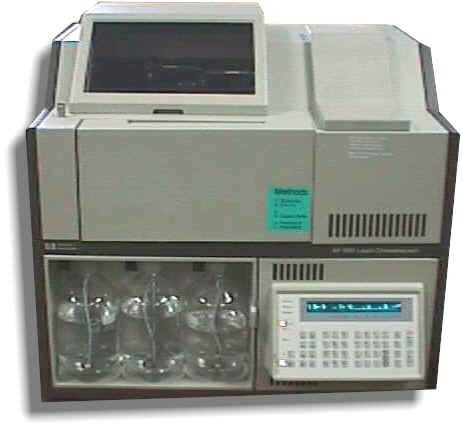 HPLC 1090 system was introduced in 1983 and when it comes to performance and reliability, it is considered to be an outstanding instrument before the introduction of the modular designed HPLC. HP 1090 HPLC’s pump is being considered as the best pump available in the market today. The delay volume of HP 1090 is comparable to that of the Agilent 1100 series binary pump. The HP 1090 HPLC uses helium for solvent degassing. The good thing about using helium degassing is that there is no need for additional internal volume to be added and changing solvent in one channel only takes a few minutes. HP 1090 injector has a glass syringe for metering devices. This device can be used at low pressures. If the solvent needs to be change or if an air bubble needs to be removed, it is advisable to use a special wash cycle in order to flush the syringe. There are no threads in HP 1090 Reviews at this time.